This fun, decorative, wall hanging is made of wheel-thrown ceramics, decorated with a hand-cut stencil pattern designed by potter, Jennifer Lachtara. 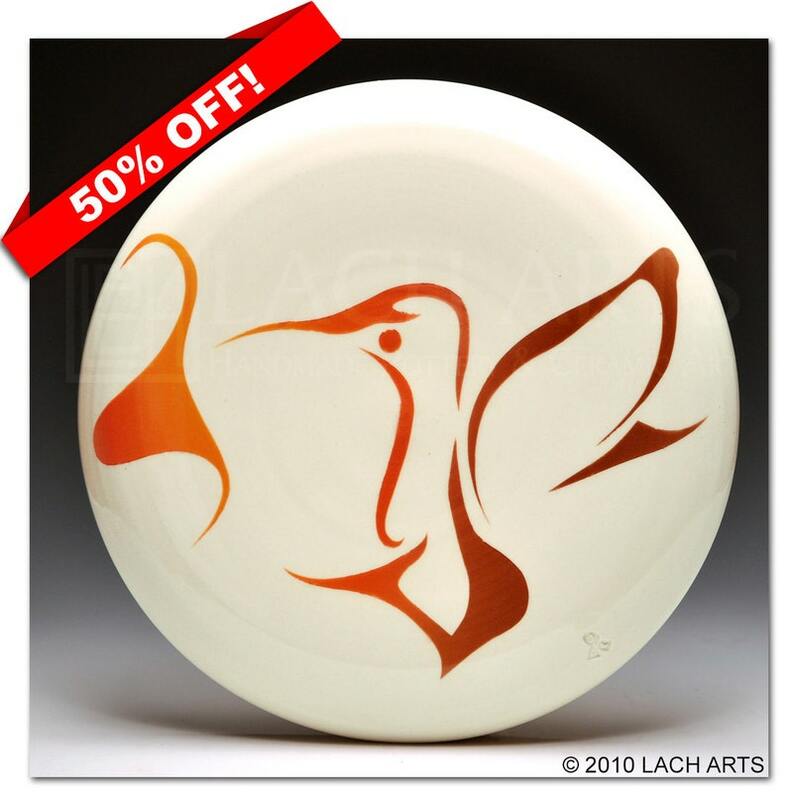 Lead-free underglazes are sprayed in a gradiating pattern from brown to red to deep yellow and finished with a durable, clear glaze fired to 1990ºF. "Hummingbird" measures approximately 12" in diameter and extends approximately 2" out from the wall at its highest point.